Yahoo’s core business might fit with Barry Diller’s menagerie. The flailing internet firm said on Wednesday that it was scrapping plans to spin off its stake in Chinese retailer Alibaba and might instead separate out its division housing search, advertising and the like. The media mogul’s IAC/InterActive, with assorted online endeavors, could be a logical home, as might Verizon, owner of AOL. Yahoo said it has not determined whether to sell anything. Yet if the board does spin out the advertising and search unit, the company could be ripe for a takeover. Yahoo is now worth about $33 billion, but most of its value lies with its equity position in Alibaba. The search and ad business is worth only about $3 billion, according to Jefferies. Talk of a deal has been going on ever since Yahoo rebuffed Microsoft’s $44.6 billion offer in 2008. The firm has been floundering for several years, and a revolving door in the executive suite – there have been six CEOs in the past decade – has made it tough for the company to change strategy. There are plenty of potential buyers, however. Yahoo would probably fit right in with IAC’s various aging internet businesses. They include Ask.com – formerly Ask Jeeves, a Yahoo competitor – About.com and CityGrid. IAC said on Wednesday that it was creating IAC Publishing, which it called a “new digital operating entity” that would combine online brands like the Daily Beast and About.com to reach an estimated 100 million monthly customers in the United States. Yahoo currently has 200 million visitors, according to internet tracking company Comscore. Don’t count out Verizon either. Chief Financial Officer Fran Shammo said during an investor conference on Monday that the wireless carrier would consider looking into buying Yahoo’s search and ad business. Verizon splashed out $4.4 billion in June for AOL, another limping internet brand. There has been lots of talk in recent years about how Yahoo and AOL might make a good marriage, reaching far more customers together than they do in total separately. 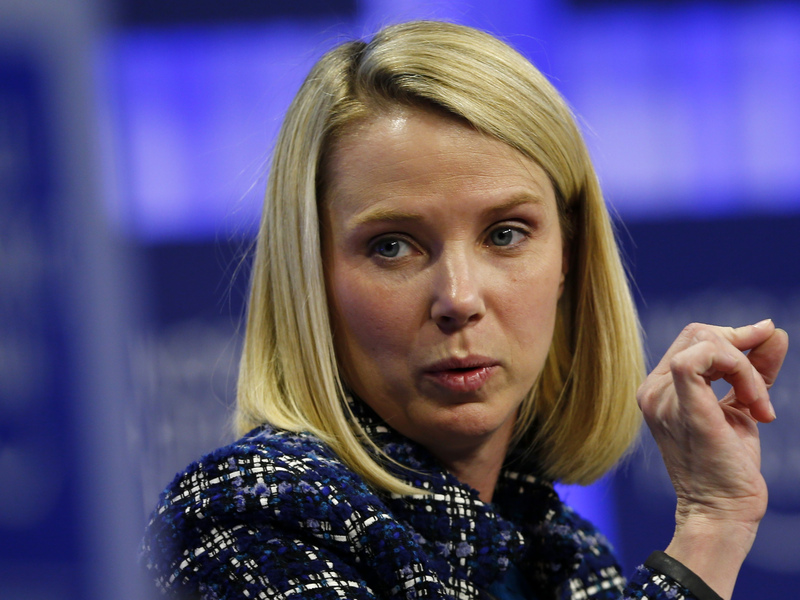 At this point, though, almost any deal would probably look like the right move for Yahoo. Yahoo’s board of directors said on Dec. 9 that it had decided to suspend its plan to spin off holdings in Chinese online retailer Alibaba Group. The board added that it will instead evaluate separating its core search, advertising and other businesses from Alibaba. Yahoo also said director Max Levchin, a former executive of PayPal, notified the company that he was resigning from his position because of his other professional commitments.